If you’ve heard about mobile storage in the NYC tri-state area then you’re probably wondering “what is mobile storage exactly?” Here at Moishe’s we believe in convenience and customer satisfaction. That means we strive to do our best no matter how big or small the job may be. This includes ensuring if a customer is wondering “what is mobile storage?” or about commercial industrial sized rent storage all the same. If you’re wondering about mobile storage, we’ve got some answers. When you’re wondering what is mobile storage and you haven’t found conclusive answers you’ve been going to the wrong place. If you need more than a storage room at one of our locations throughout New York City, we bring the mobile storage to you. It’s all about convenience and affordability too. 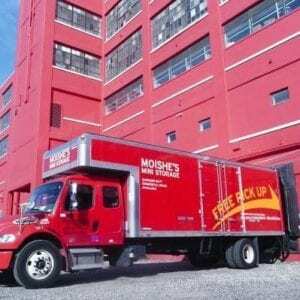 We want to ensure that Moishe’s Self Storage will always be the best storage facility in New York City, and what’s better than mobile storage wherever you need it. These units are great for customers who need to move or need frequent access to their storage unit. Mobile storage is basically exactly what it sounds like, which means If you need to move across the country we can move your mobile storage with you. What is mobile storage? The most convenient way to store your property possible. If you’re curious as to why our storage facilities are the best to get your mobile storage from, simply google our storage facility to find all of our five star reviews. Our hard work and dedication have grown us from a man and his truck to the best moving company in New York City. If you’d like more answers to your what is mobile storage questions we’ve got you covered at (800) 536-6564. Call in to speak directly with a storage advisor and get the storage options you deserve. Whether you’re searching for what is mobile storage or self storage near you Moishe’s Self Storage has the service. Contact us online or reserve your room today.